The Dolezal Family: Pathway to ? 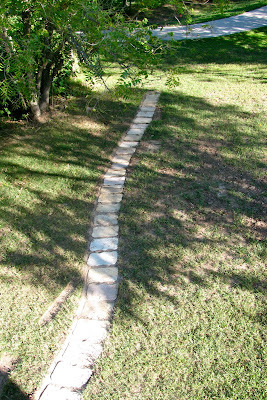 Last Saturday (while I was in the ER with Grayson) Adam made a path for our backyard. It was a little project I had been wanting done since we moved into our house. 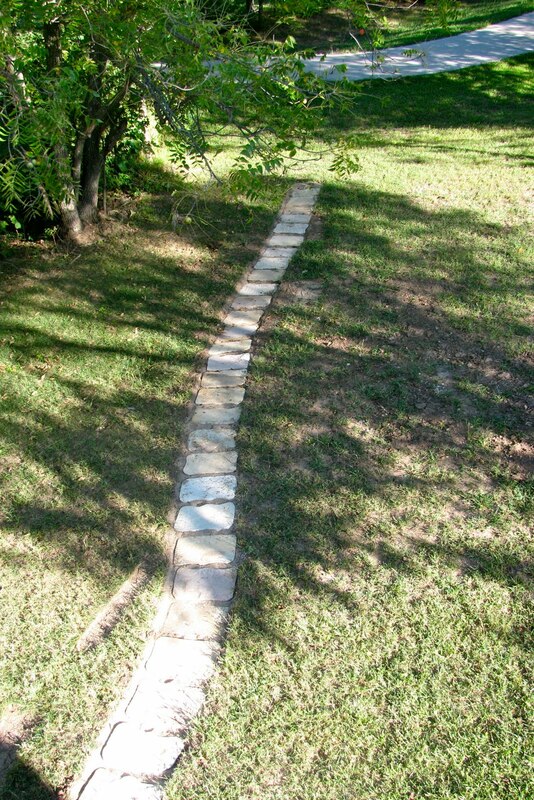 The boys always walk that way to school each morning so I wanted a path from our house to the trail behind our house so that it would (hopefully!) help prevent dirt and mud getting on their shoes and tracked into my house. We had bought everything for the path on Friday night so he was ready to get to work Saturday morning. It took most of the day but he was able to get it all done by himself and it turned out really well. Come What May and Love It! The pictures in the header are courtesy of Lacey Wenzel Photography. Thank you Lacey!